INFORMATION TECHNOLOGY (IT) PROFESSIONALS are plugged into almost everything that gets done in the business world. They play big roles in businesses from small mom-and-pop stores all the way up to Fortune 500 companies. It is nearly impossible to get anything done in today’s business world without them. IT is as important as any other department in most companies when it comes to strategizing, planning, and creating revenue – and not just for supporting the other departments. All that computer hardware and software requires an IT staff behind the scenes to keep everything humming and useful. But IT pros are not just the help desk guys. They are also the masterminds behind massive computer networks and security programs. They play a strategic role as important as any sales person, accountant, or top executive. There will be 1,308,500 job openings in Computer and Mathematical Occupations over that period, because some positions are expected to be listed multiple times. For details, visit www.bls.gov/emp/eptable102.htm and read the BLS article, “Occupational Employment Projections to 2022,” at www.bls.gov/opub/mlr/2013/article/occupational-employment-projections-to-2022.htm. As in other fields, job openings will result from employment growth and a need to replace workers who transfer to other occupations or leave the labor force. The broad occupational group Software Developers and Programmers (SOC 15-1130) is expected to add 279,500 jobs by 2022, accounting for about 4 out of 10 new jobs in SOC 15-0000. The projected growth for the detailed occupation Information Security Analysts (SOC 15-1122), at 27,400 new jobs, is relatively small. However its rate of growth, 36.5 percent, makes it the fastest growing of all groups and occupations within SOC 15-0000. Demand in SOC 15-1130 and SOC 15-1122 will stem from a number of factors, including an increase in demand for cyber security, the implementation of electronic medical records, and an increase in the use of mobile technology. It’s shouldn’t surprise anyone that more and more people have been trying to land IT positions. After all, those jobs are relatively secure, and they have growth potential. So there is a lot competition, but once those jobs are landed the employees tend to stick around. The unemployment rate for SOC 15-0000 was only 2.8 percent in September 2015. By contrast, the overall unemployment rate for September 2015 was 4.9 percent. Qualified IT candidates will be fine, and those with military backgrounds will be in even better shape. The median annual wage for Computer and Mathematical Occupations in May 2012 was $76,270, more than twice that for all wage and salary workers, $34,750, and the second-highest of any major occupational group. All of the occupations in this group pay above the median wage for all occupations. The detailed occupations Computer and Information Research Scientists (SOC 15-1111) and Mathematicians (SOC 15-2021) had median wages of more than $100,000 per year. A bachelor’s degree in a computer-related field is almost required for management positions in IT, but many employers will take military experience into account. Some employers require a graduate degree for their higher-level managers, especially an MBA with technology as a core component. Through 2022, more than 3 in 4 new jobs occurring in this group are projected to be in occupations that typically require at least a bachelor’s degree, with the fastest projected growth among occupations that need a master’s degree. Computer and Information Systems Managers (SOC 11-3021) play a vital role in the implementation and administration of technology within their organizations. They plan, coordinate, and direct research on the computer-related activities of firms. They help determine the goals of an organization and then implement technology to meet those goals. They oversee all technical aspects of an organization, such as software development, network security, and Internet operations. Other IT professionals include Systems Software Developers (SOC 15-1133), Computer Programmers (SOC 15-1131), Computer Systems Analysts (SOC 15-1121), and Computer Support Specialists (SOC 15-1150). These professionals plan and coordinate activities such as installing and upgrading hardware and software, programming and systems design, the implementation of computer networks, and the development of Internet and intranet sites. They are increasingly involved with the upkeep, maintenance, and security of networks. They analyze the computer and information needs of their organizations from an operational and strategic perspective, and determine immediate and longrange personnel and equipment requirements. IT professionals need a broad range of skills. Employers look for individuals who can demonstrate an understanding of the specific software or technology used on the job. Generally, this knowledge is gained through years of experience working with that particular product. Another way to demonstrate this trait is with professional certification. Although not required for most computer and information system positions, certification demonstrates an area of expertise, and can increase an applicant’s chances of employment. The recent recession may have dulled prospects for employment in IT for a short time, but new applications of technology in the workplace will continue to drive demand for workers, fueling the need for more managers. To remain competitive, firms will continue to install sophisticated computer networks and set up more complex intranets and websites. Also, because so much business is carried out over computer networks, security will continue to be an important issue for businesses and other organizations, and will lead to strong growth for computer managers. Firms will increasingly hire security experts to fill key leadership roles in their IT departments because the integrity of their computing environments is of utmost importance. So prospects for qualified computer and information systems personnel are excellent. Workers with specialized technical knowledge and strong communications and business skills, as well as those with an MBA with a concentration in information systems, will have the best prospects. RED HAT provides open source enterprise technology, including cloud, virtualization, storage, Linux, and middleware. The company also offers support, training, and consulting services. Red Hat is grow ing rapidly; it supports more than 90 percent of Fortune 500 companies. People who work at Red Hat are passionate about their work, they are highly collaborative, and they hold one another accountable – all traits that will feel familiar to veterans. Red Hat does not have a military structure, but the company helps all new hires learn how to get work done in its open culture. Brian Dayman served for nine years in the United States Army before separating as a staff sergeant. His was a psychological operations sergeant. He planned, coordinated, and executed radio, TV, and print programs to counter extremist ideologies. Dayman started his career at Red Hat earlier in 2015. As a marketing specialist, he works with marketing managers to spread the word about the company. His leadership experience has also played a role. “Being a leader in the military has helped me to understand how to work on teams, which often means being assertive, balancing multiple priorities, and managing expectations with others,” he said. But that’s not all. “Having a strong sense of duty has helped me to take initiative and do what needs to be done, even when the operational tempo is high,” he said. He cautions transitioning and veteran job seekers not to spend too much job-hunting time online. “Be wary of getting trapped on Google during your job search,” he said. “Spend half of your time doing research online, but after that reach out to a veteran mentor organization. They can connect you to people in your respective industry who can help to get your resume in front of the right people. The Reynolds and Reynolds Company was founded in Dayton, Ohio, in 1866 as a printer of business forms. By 1927, the company had begun to serve automotive retailers with standardized accounting forms. By the turn of the 21st century, Reynolds was well established as provider of a dealership management system, business forms, and professional consulting services. Reynolds is still headquartered in Dayton, and it has major operations in Celina, Ohio; and Houston and College Station, Texas. Additionally, Reynolds operates in Canada, the United Kingdom, and continental Europe. Worldwide, the company employs more than 4,300 people. Reynolds has employment opportunities available in Dayton, Houston, and College Station, ranging from customer service and product support to marketing, sales, IT, software development, and recruiting. Reynolds also has sales and consulting positions available nationwide. The company has a recruiter on staff who focuses on recruiting, hiring, and transitioning veterans into professional civilian life. Reynolds shares its open positions with transition counselors at military bases across the nation, posts open positions on military-specific job boards, and attends military-to-civilian career fairs throughout the year. Veterans find Reynolds’ corporate culture to be similar to that of the military: a professional environment built by strong leadership and a strong work ethic. Reynolds has actively recruited veterans for more than 30 years. The company has found that veterans demonstrate high levels of professionalism and a commitment to excellence – characteristics that Reynolds looks for in every associate. In addition, many job seekers with military experience have developed soft skills – such as a sense of determination and leadership experience – that can be harder to find than technical skills that can be taught on the job. Cargill was a sergeant in the United States Marine Corps from 1994 to 1998, with a military occupational specialty of small computer systems specialist. His role included PC support, basic networking, and account administration. He joined Reynolds in 1999 as a desktop support technician at College Station. Within a year, he transferred to Houston, and later was promoted to supervisor of desktop support. With a “first to arrive, last to leave” mentality, Cargill steadily worked his way up within the company, becoming group supervisor of PC support in 2001 and manager in 2002. In 2006, Reynolds promoted Cargill to director and transferred him to company headquarters in Dayton. His responsibilities included bringing IT operations in-house, helping with plans to build a data center on site, and hiring talent to fill open positions. In 2008, the company named him Reynolds Director of the Year in Dayton for his efforts in building the in-house IT team and his work with the data center. When Cargill had decided to transition to civilian life, he did not know exactly what the next step was. But when Reynolds reached out to him, he knew he had to seize the opportunity. “Aside from literally wanting to salute anyone in a suit and tie, the transition at Reynolds was relatively easy,” he said. He related immediately to the professional environment across the organization, the discipline required for completing the work, and the continuous training opportunities. And, although his new role as a desktop support technician included many of the same responsibilities he held in his MOS role, he still had to overcome a skills gap. LEVEL 3 COMMUNICATIONS is a global communications provider headquartered in Broomfield, Colorado, north of Denver. The company has core locations in Atlanta; Littleton, Colorado; O’Fallon, Missouri; Phoenix; and Tulsa. It employs more than 13,000 personnel around the world, and has an enterprise value of $30 billion. Level 3 provides data, security, video, voice, and unified communications services to enterprise, government, and carrier customers. The company has extensive fiber networks on three continents – connected by undersea facilities. Level 3 reaches more than 500 markets in over 60 countries. The company needs people skilled at software development, cybersecurity, IT, engineering, provisioning, data analytics, project management, and technician roles. More than half of its employees work on the technology side in roles ranging from IT and network architects to software engineering and Internet protocol operations. Level 3 actively seeks to hire military talent by recruiting at military job fairs and bases across the country. The company is looking for three traits – attitude, a desire to learn, and technical aptitude. Veterans possess those traits as well as discipline, military training, and integrity, making them a good fit for telecommunications and Level 3’s structured environment. Level 3 has a Veteran Employee Resource Group (VERG), which enables employees to create their own support group and community. 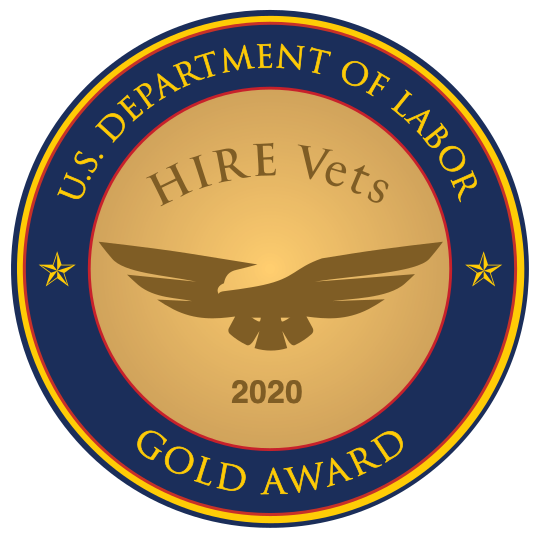 The VERG advises the business on how to best meet the needs of veteran employees and hosts the Buddy Program, which pairs new veteran employees with seasoned Level 3 veterans. This program helps new employees transition into civilian life personally and professionally. Among the company’s training units is the Ops Tech Academy, which offers a 10-week training program that combines classroom work with on-the-job training. It begins with three weeks of intensive coursework and ends with two practical rotations, before participants are placed in a position within the company. After a year of working at Level 3, students officially graduate from the program. The program has been called the “basic training” of Level 3. Leif Olsen runs the Ops Tech Academy. He spent two years of active service in the United States Army, two years in the National Guard, and four years in the Reserve. He separated as a specialist. While on active duty, he worked with petroleum supply. In the National Guard, he worked with Huey helicopters. He is now a talent management consultant with Level 3, an Ops Tech Academy trainer, and a live training facilitator. He joined the company in 2000, gaining experience in the Technical Service Center and the Network Operations Center. He switched to sales training in 2011 and took over as the lead trainer of Ops Tech Academy in January 2013. Olsen did not find immediate success when he left the military. But he trusted his skill set and experience. As a matter of fact, the technical skills Olsen learned in the military did not translate directly to his current job. “Not much petroleum supply needed in telecom,” he said. “However, the life skills learned in the military such as drive, determination, and problem solving have helped me get ahead in my career. Headquartered in Norfolk, the United States Navy’s Military Sealift Command (MSC) provides ocean transportation to the Department of Defense. MSC operates about 110 non-combatant, civilian-crewed ships that conduct specialized missions around the world, move military cargo and supplies, and replenish Navy ships. Military Sealift Command’s workforce consists of more than 9,500 people, most of whom serve at sea. MSC is currently looking to fill seagoing vacancies in the following departments: deck, engine, supply, culinary, and communications. Their biggest hiring needs are for first officers, first assistant engineers, and chief radio electronics technicians. There are also shore-side vacancies in various departments. More than 40 percent of MSC’s workforce have military experience, and the organization focuses on recruiting veterans. MSC attends military-specific job fairs throughout the year and visits with veteran representatives to educate them on the openings, processes, and benefits of MSC employment. MSC also hosts its own military-specific hiring events aboard Navy ships to reach sailors approaching their discharge dates. MSC knows that veterans make good employees because their skills and experiences, such as discipline and respect for the chain of command, are critical for success at sea. Other traits imperative to the organization’s mission are cooperation, support, and teamwork. In addition, veterans are accustomed to being away from home for extended periods of time. Veterans are familiar and comfortable with MSC’s structured and regimented work environment, though it is more relaxed than that of the military. The camaraderie can be hard to find in other civilian workforce environments. Veterans can also appreciate the job security, federal benefits, rapid advancement opportunities, and paid leave that comes with MSC employment. A VETERAN SUCCESS | ALFRED ALEXANDER BROWNE JR.
Alfred Alexander Browne Jr. separated from the Navy as a petty officer 2nd class after 10 years of service. “I was responsible for maintaining and repairing the communications and navigational electronic equipment onboard naval ships,” he said. MSC hired Browne in 2012 as a first radio electronics technician, and recently promoted him to chief radio electronics technician. “I am directly responsible to the ship’s communications officer for maintaining the local area network, electronic key management system, radio electronic equipment, and administrative duties,” he said.